MoviePass is burning through cash. Is the end near? Is the end near for MoviePass? MoviePass sounds too good to be true. We may soon find out if it actually is. The parent company, Helios and Matheson Analytics (HMNY), only has about $15.5 million cash on hand, plus another $27.9 million in accounts receivable, according to documents filed Tuesday with the US Securities and Exchange Commission. Unless the movie subscription service can come up with more money, MoviePass might not be around for much longer. The firm said that it burns through about $21.7 million every month operating the service, which charges users $10 a month to see a movie every day. "They appear to have enough cash to last two months," said Michael Pachter, an analyst for Wedbush Securities. "Sounds like a terrible business model to me, and I can't imagine that any sophisticated investors will view it differently." So far, they don't appear to be. Shares of Helios and Matheson have been tanking for months, and stock prices fell even further this week. Shares are trading for less than a dollar, plunging 46% Wednesday. The MoviePass model has drawn attention — and raised eyebrows — since it went public last August with its $10 price point. In most places, that's just about the cost of a single movie ticket. That means that MoviePass loses money when its customers use a pass, since it must pay theaters for the tickets. Part of the solution has been to grow subscribers as quickly as possible. MoviePass announced in February that it had reached 2 million subscribers, just one month after it topped 1.5 million. Executives have targeted 5 million by the end of the year. Helios and Matheson CEO Ted Farnsworth says that should help make the business profitable. 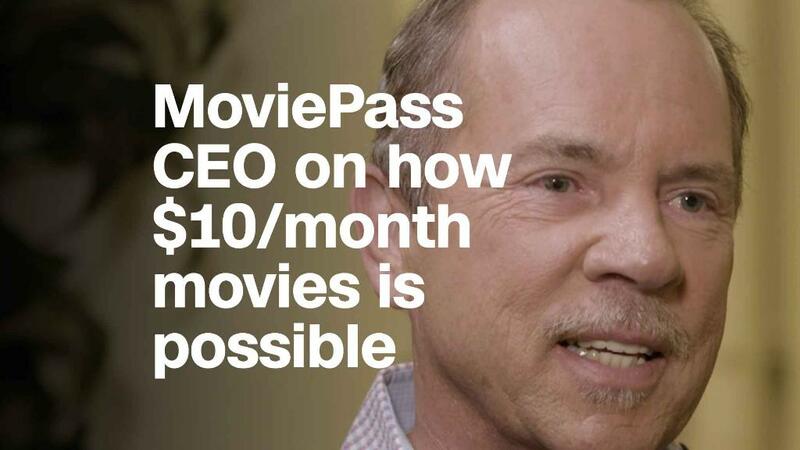 In a statement to CNNMoney on Wednesday, he added that the company always knew MoviePass would burn through a lot of money. "We have access in capital markets to over $300 million," Farnsworth said. "So there is plenty of cash available to sustain the subscriber growth and movie-going habits of our users." Farnsworth did not elaborate on the $300 million figure in his statement, and he was not immediately available for further comment. Adding more users isn't the company's only business plan. MoviePass has said that it hopes to eventually become profitable by selling more advertising. It has also said in the past that the company collects data on its subscribers it wants to monetize — though executives have walked back the extent to which it uses that information in the wake of the recent Facebook data scandal. In any case, it's not clear whether MoviePass can generate additional revenue fast enough to please investors, said Eric Wold, an analyst at B. Riley FBR. "The subscriber growth, I don't think, is an important metric. It's really the usage that you're generating and the data that you're collecting," he said. "You're not at the point where that data is valuable, and I don't know if investors will make that bet ... because it's not going to happen overnight." Farnsworth, meanwhile, said MoviePass has found ways to cut its expenses. His statement mentioned that the service's "burn rate" has been slashed by 35-40% in the last few weeks because of new "abuse prevention measures." The company announced last month that it would bar subscribers from seeing the same movie more than once. Again, Wold was skeptical. He questioned whether the new restriction would end up driving some customers away, especially fans of the new "Avengers" or "Star Wars" who might have been banking on MoviePass for repeated viewings. "I think that's going to be a negative to some people who signed up initially," Wold added. "I wouldn't be surprised if you saw people somewhat turn away from the service now."